Roasted chicken dark meat: High in protein and niacin and low in carbohydrate, total dietary fiber and total sugars. Stewed chicken stewing: High in protein and niacin and low in carbohydrate, total dietary fiber and total sugars. Stewing chicken raw meat: Stewing chicken raw meat is high protein and niacin. On the other hand. is low in carbohydrate, total dietary fiber and total sugars. Stewed chicken stewing: This food is low in carbohydrate, total dietary fiber and total sugars but Stewed chicken stewing has protein and niacin in high quantity. Roasted capons: High in protein and niacin and low in carbohydrate, total dietary fiber and total sugars. Roasted domesticated duck: High in total lipid, saturated fatty acid and monounsaturated fatty acids and low in carbohydrate, total dietary fiber and total sugars. Wild duck breast raw meat: Wild duck breast raw meat is high protein, thiamin and vitamin b6. On the other hand. is low in carbohydrate, total dietary fiber and total sugars. Raw goose liver: This food is low in total dietary fiber, total sugars and manganese but Raw goose liver has iron, zinc and copper in high quantity. Guinea hen raw meat: High in protein, niacin and vitamin b6 and low in carbohydrate, total dietary fiber and total sugars. Pheasant raw meat only: This food is low in carbohydrate, total dietary fiber and total sugars but Pheasant raw meat only has protein, niacin and vitamin b6 in high quantity. Pheasant breast raw meat: This food has a low quantiti of carbohydrate, total dietary fiber and total sugars but has a high quantity of protein, niacin and vitamin b6. Pheasant leg raw meat: High in protein and vitamin b6 and low in carbohydrate, total dietary fiber and total sugars. 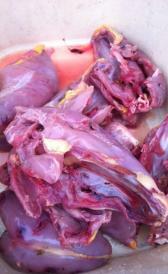 Quail raw meat and skin: Quail raw meat and skin is high protein, niacin and vitamin b6. On the other hand. is low in carbohydrate, total dietary fiber and total sugars. Quail raw meat: This food is low in carbohydrate, total dietary fiber and total sugars but Quail raw meat has protein, phosphorus and zinc in high quantity. Quail breast raw meat: This food has a low quantiti of carbohydrate, total dietary fiber and total sugars but has a high quantity of protein, zinc and niacin. (pigeon) squab raw meat: (pigeon) squab raw meat is high phosphorus, zinc and copper. On the other hand. is low in carbohydrate, total dietary fiber and total sugars. Roasted young hen turkey: High in protein, zinc and selenium and low in carbohydrate, total dietary fiber and total sugars. 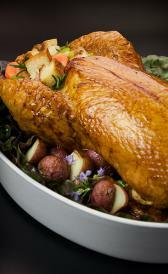 Young hen turkey raw meat: Young hen turkey raw meat is high protein, selenium and vitamin b6. On the other hand. is low in carbohydrate, total dietary fiber and total sugars. Roasted young tom turkey: High in protein, zinc and selenium and low in carbohydrate, total dietary fiber and total sugars. 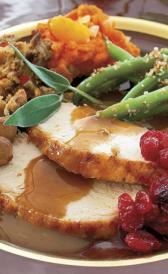 Young tom turkey raw meat: Young tom turkey raw meat is high protein, selenium and vitamin b6. On the other hand. is low in carbohydrate, total dietary fiber and total sugars. Frozen turkey and gravy: In this food there are some nutrients that are found in low quantity, for example carbohydrate, total dietary fiber and total sugars. No broth canned chicken: This food has a low quantiti of carbohydrate, total dietary fiber and total sugars but has a high quantity of protein. Raw chicken ground: High in niacin and vitamin b6 and low in carbohydrate, total dietary fiber and total sugars. Boiled chicken feet: This food has a low quantiti of ash, carbohydrate and total dietary fiber but has a high quantity of protein, folate, total and food folate. Raw emu ground: Raw emu ground is high protein, zinc and selenium. On the other hand. is low in carbohydrate, total dietary fiber and total sugars. Raw emu fan fillet: This food has a low quantiti of total lipid, carbohydrate and total dietary fiber but has a high quantity of protein, zinc and selenium. Raw emu flat fillet: Raw emu flat fillet is high protein, zinc and selenium. On the other hand. is low in total lipid, carbohydrate and total dietary fiber. Raw emu full rump: This food is low in total lipid, carbohydrate and total dietary fiber but Raw emu full rump has protein, zinc and selenium in high quantity. Raw emu inside drum: High in protein, zinc and selenium and low in total lipid, carbohydrate and total dietary fiber. Raw emu outside drum: This food is low in total lipid, carbohydrate and total dietary fiber but Raw emu outside drum has protein, zinc and selenium in high quantity.